AKA Pico Blanco Camp. Sitting on a bluff above the South Fork Little Sur River, this is a generally pleasant and open camp. The stream below features a nice waterfall and pool. It would make a good swimming hole if it wasn’t so heavily shaded. The trail (from the Old Coast Rd.) is nearly 6 miles long and it is best to stay on it as the owners of the private property it crosses are hypersensitive about trespassing. 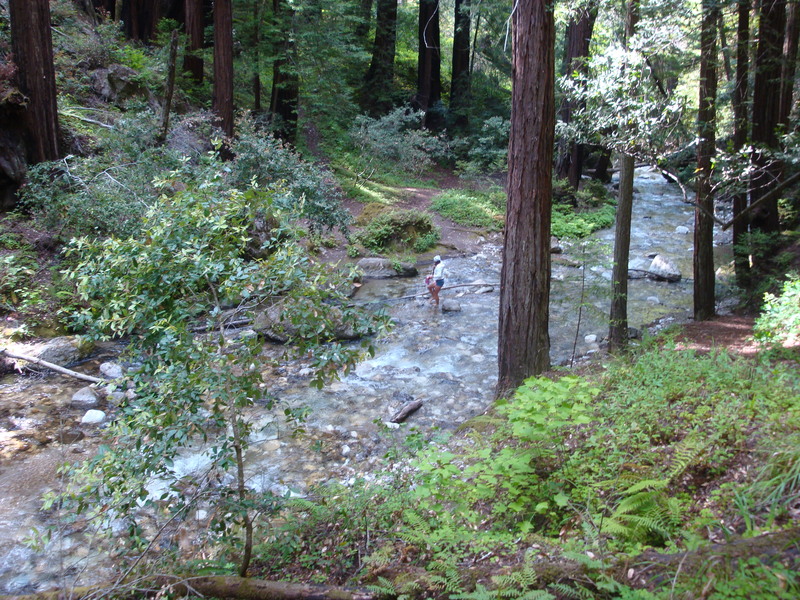 Once the trail crosses the river it leaves it behind for good and climbs over a high spur of Pico Blanco to reach the camp. See this post for more pics of the trail and see the VWA Trail Conditions Forum for the most up-to-date possible information on trail conditions.